Here are some products that are simply brilliant and will help make your wedding day a little easier! We wish we’d thought of these ideas first! So clever and innovative! 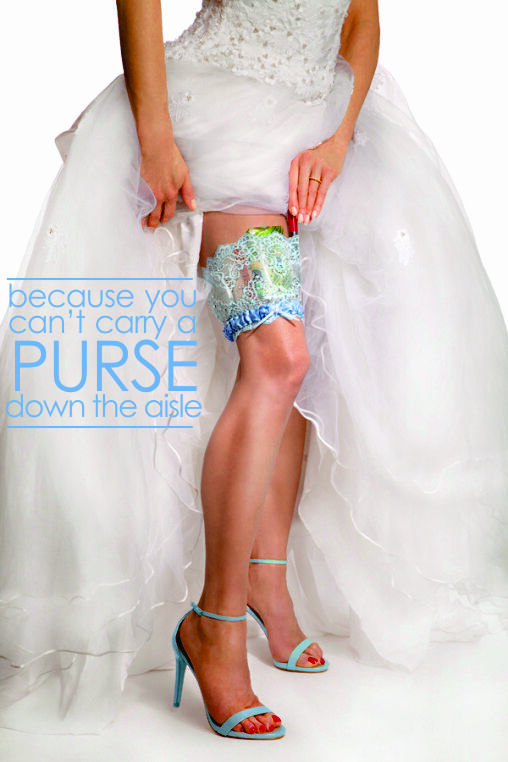 We recently saw this Girly Go Garter advertised and thought it was genius so we had to share it with you! This garter helps you conceal cash, credit cards, lipstick and your phone! This is absolutely perfect for brides! At the reception, if you want to touch up your makeup or text your groom a flirty message, you can! 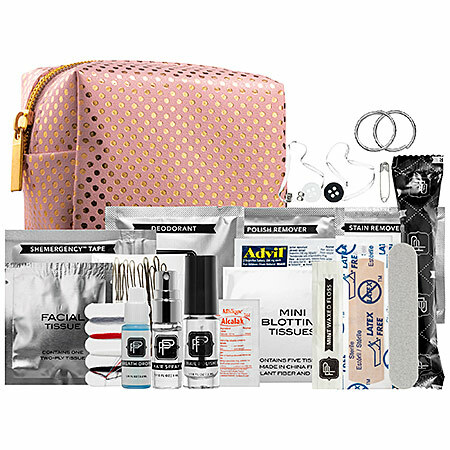 Another fantastic find is this Pinch Provisions Minimergency Kit! It is equipped with bandages, safety pins, deodorant towelettes, double-sided tape, bobby pins, pain reliever, and much more. This kit will help brides survive any small crisis and reduce unnecessary stressors. Lastly, check out Solemates, which prevent bridesmaids’ heels from sinking into the ground! This innovative product helps keep your bridal party stable on uneven surfaces like grass, cobblestones, and even gravel. You can find them at DSW, David’s Bridal, and Bed Bath & Beyond! This entry was posted in Uncategorized and tagged 2014, Austin, blog, Design, Event, events, girly go garter, inspiration, Party, photography, Pinch Provisions Minimergency Kit, Premiere Events, Premiere Party Central, premiere select, rent, Rental, soulmates, tent rental austin, tents, Texas, trends, tx, wedding emergency, wedding products, What's New. Bookmark the permalink.